As Spring arrives, the April edition of the popular social tea ‘In The Ballroom’ on Wednesday 10th will hear an illustrated talk by Tony Brown about the restoration of the Guy’s Cliffe Walled Garden. Originally it was part of the kitchen garden supplying fruit, vegetables and flowers to Guy’s Cliffe House from the 1770s to the late 1940s when the house fell into decline. The walled garden became completely overgrown. 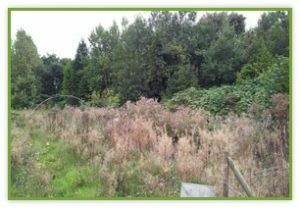 Five years ago a band of local volunteers began the huge task of restoring the old garden. Find out how the restoration project is going, try your hand at a gardening-based quiz, and enjoy the usual tea and cake with time to chat. 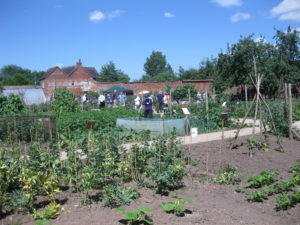 Perhaps you will be inspired to visit the walled garden, which is now open to the public on Wednesdays, Fridays, Sundays and Bank Holidays. Entry is free and it has easy-access paths and sells garden produce. ‘In The Ballroom’ is organised by Unlocking Warwick and The Town Council, and takes place in the Jury Street Court House from 2pm – 4pm on the second Wednesday of each month. It costs just £2 including the refreshments, and there’s no need to book.